88 Fortunes Slots is one of the best performing games in Asia – play now to find out why! There are generous bonuses and BIG wins waiting for you. It’s time to get lucky and win win win! 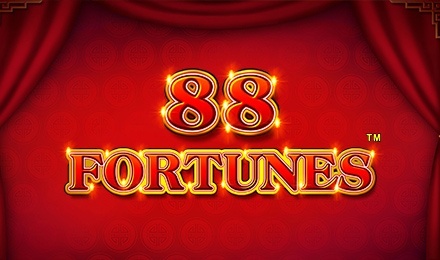 88 Fortunes Slots has an authentic Asian theme and loads of exciting bonuses and prizes. Once you start spinning, be sure to look out for the Fu Baby Wild – it can appear on reels 2-4 to complete winning lines, as well as 88 Fortunes’ Scatter, which is represented by the Gold Gong. There are endless FREE spins and a 96% RTP! Good luck!